Kinsley Jennings is the ace of the Georgia State softball team. The transfer from USC Upstate has been at Georgia State for two years now, and in her senior season, she is primed to breakout and help the Panthers reach new heights. Jennings is a native of Sugar Hill, Georgia, where she played high school softball at North Gwinnett High School. During her time there, Jennings was named two-time all-state, all-region and all-county. From there she went on to play at USC Upstate, where she saw action at a few games, but decided after the season that she needed a change. Her decision to transfer has been a good one. 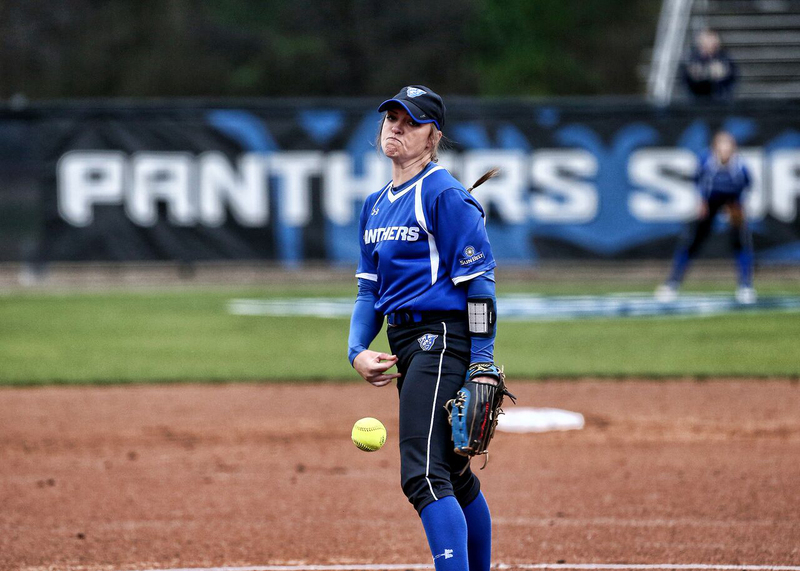 In her first season with the Panthers, Jennings recorded 18 wins, with a 3.34 ERA. Her advanced stats were even more impressive, only allowing right handed batters to hit .259 and with runners on base, she limited hitters to .276. Jennings was named the 2017 Sun Belt Newcomer of the Year and to the Second Team All-Sun Belt. Jennings admitted that she was unsure of what to expect when she transferred. Jennings threw three complete games, one shutout and added 91 strikeouts, which was good for 10th in the Sun Belt. As the team’s top returning pitcher, Jennings doesn’t feel any added pressure, but she knows that she has an important job to do. Jennings is definitely a leader on the field for her teammates. So far this season, the senior has posted a 3.74 ERA, to go along with seven wins and a complete game shutout. She knows the team’s goalsfor this season is to win a Sun Belt Conference championship, and if this team is to do so, she will have a big part in it.